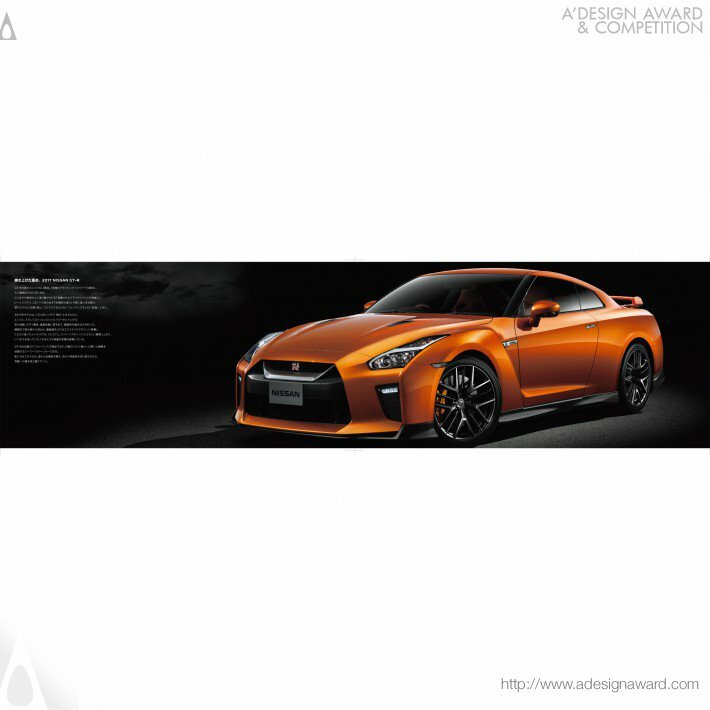 This brochure is created to communicate the evolution intuitional and convincing. An inspirational approach is taken for fascinating product presentation with an idea to have people to see the evolution level carefully and to make a valuation. 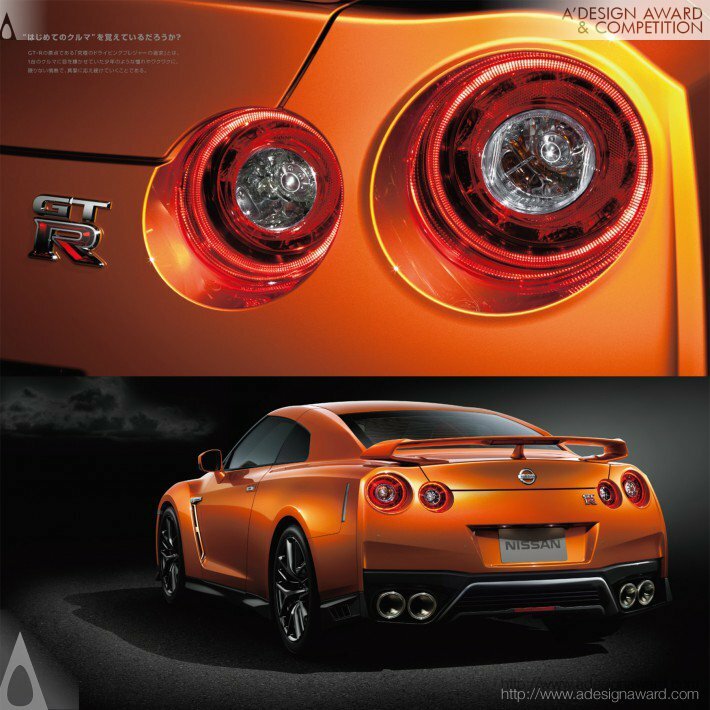 Bold layout using the traditional round-shape tail lamp, a symbol of GT-R, is used in the introduction page. 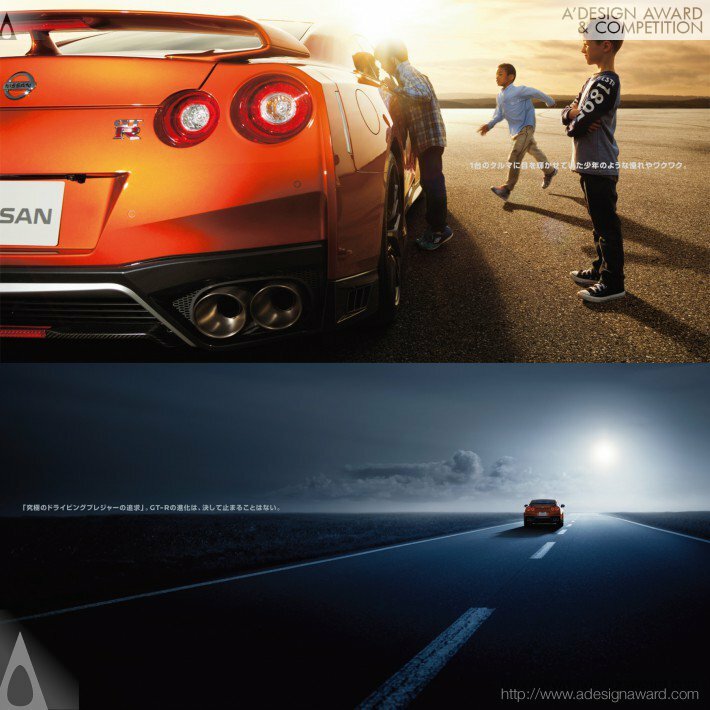 When one-side foldout is opened, the vehicle’s powerful main style appears on the nearly 1-meter-long pages. 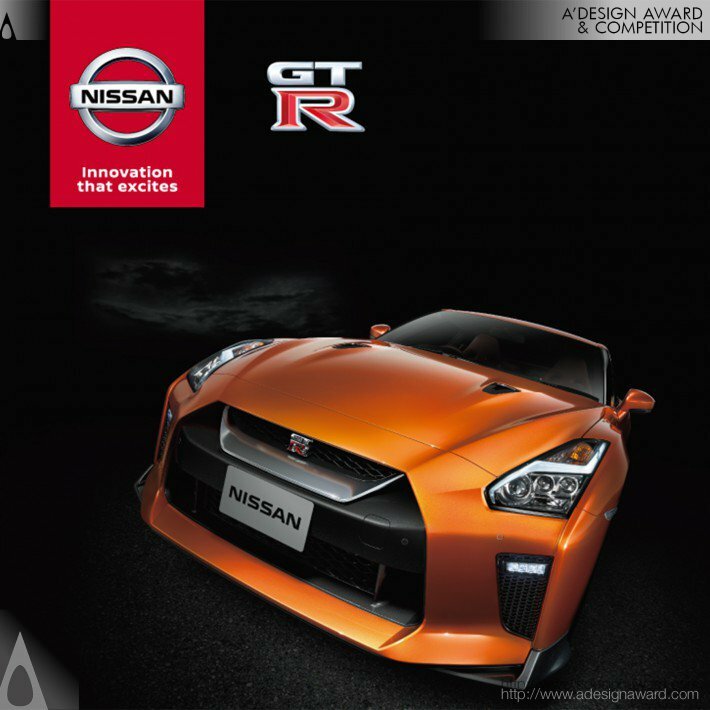 With the black background, the imposing figure of GT-R with the vivid-orange body color stays in people’s mind.